With its motor-driven crank and push-rod assembly, this kit converts a drill press to an oscillating spindle sander. 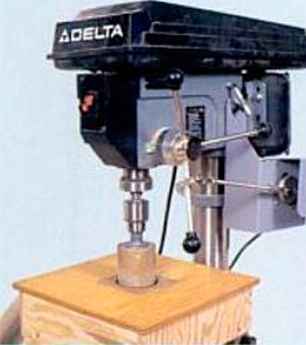 Retired machinist Gene Paules invented a setup that adds oscillating action to a drill press fitted with an ordinary sanding drum, which we covered in AW #30. Since then Paules has refined his creation, and he now offers it as a kit. The kit has a small motor that drives a push rod. which is attached to one of the drill-press spokes. As the rod moves back and forth, the quill moves up and down, creating the oscillating action. Vou can adjust the stroke length from about Vfe in. to in. by changing the position of the rod on the spoke—a feature not found on any other sander we tested. To switch from sanding to ordinary drilling, you just lift the rod off a special mount on the spoke. Installation takes about 20 minutes, and the sanding action worked great for us. 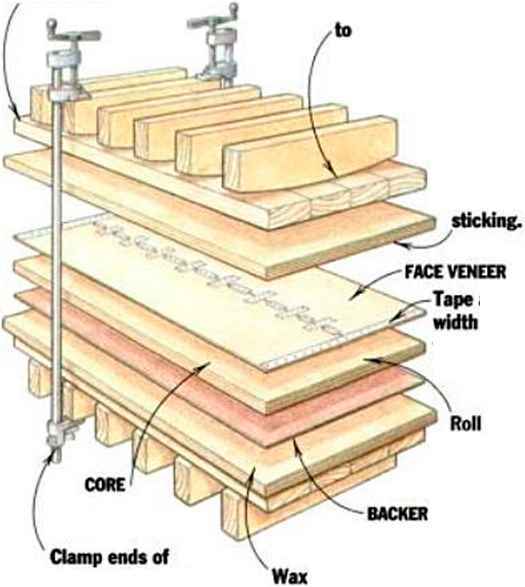 Since you can change speeds on the drill press, you can slow the sanding drum down to avoid burning the wood, or speed it up when working with a small-diameter drum. 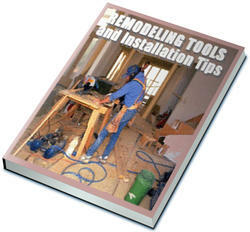 And you can save money by using a sanding drum that accepts bulk sandpaper instead of buying ready-made sanding sleeves. The kit includes plans for making the auxiliary dust-collection table shown in the photo.—D.S. Kit is $169. from G.P. Designs. Inc.. 24 Willard Rd.. Shclton. CT 06484. 203-929-8158.